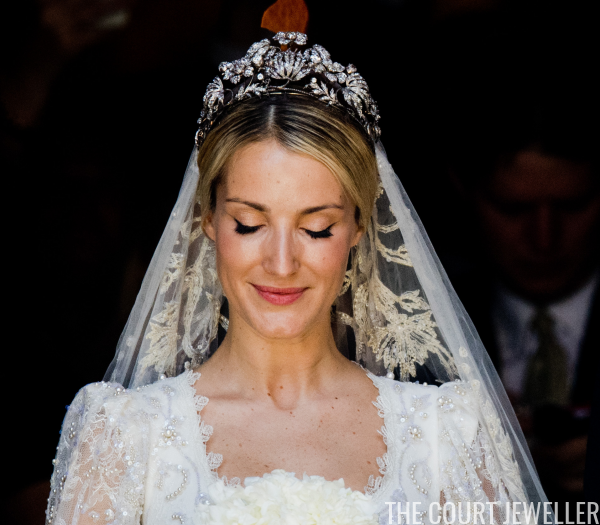 How's this for unusual: we saw enough tiaras (and more!) 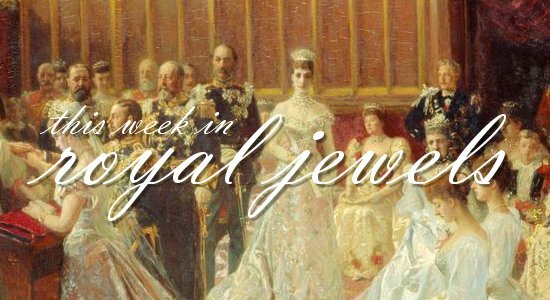 this week to fill an entirely separate jewel countdown! Vote for your favorites in the poll below! 10. Crown Princess Victoria of Sweden wore the Steel Cut Bandeau at the wedding of a cousin, Astrid Bernadotte, in Florence this weekend. 7. 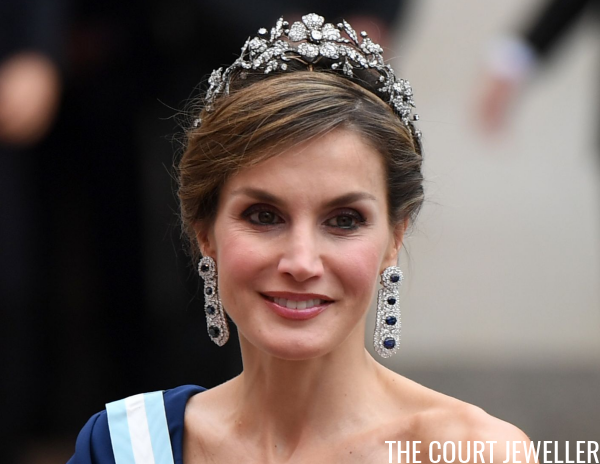 For Astrid Bernadotte's wedding, Queen Silvia of Sweden wore the tiara and jewels from the Napoleonic Amethyst Parure. 6. 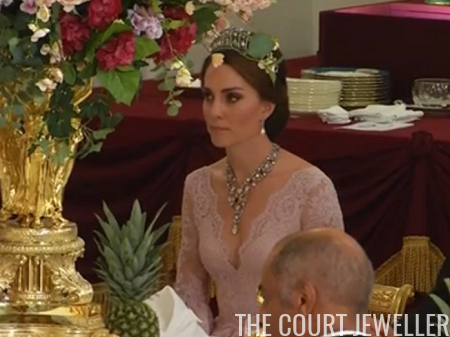 Princess Michael of Kent wore the diamond and pearl Kent Festoon Tiara for the state banquet on Wednesday. 4. 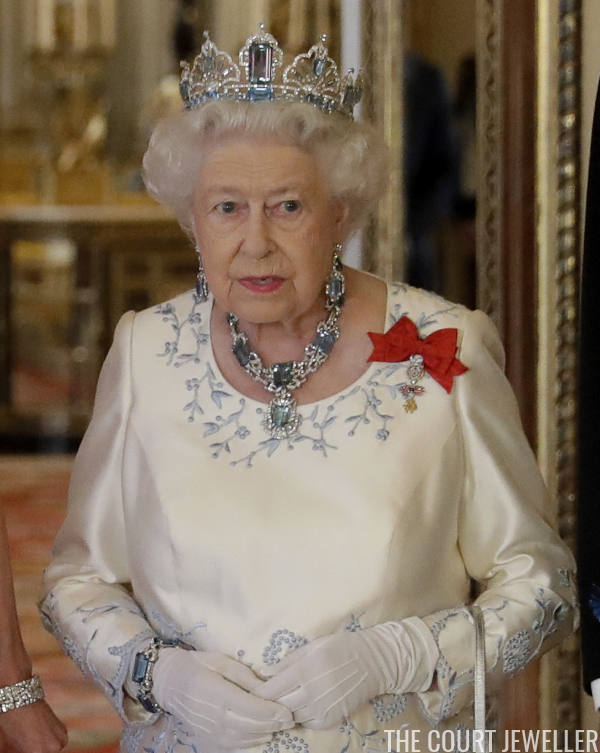 Anne brought out one of the most unusual British tiaras -- the Aquamarine Pineflower Tiara -- for Wednesday's state banquet. 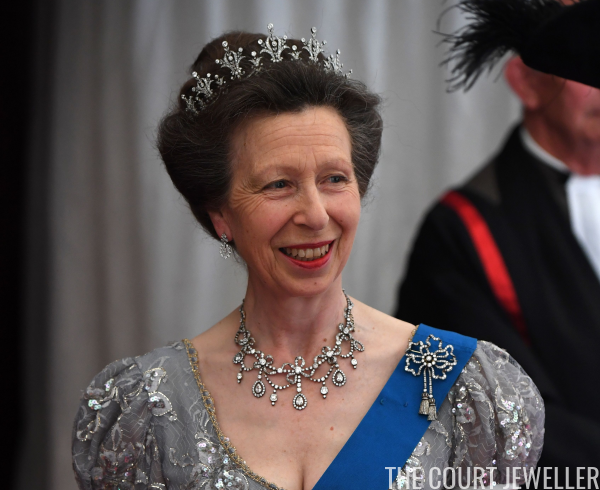 Which tiara gets the win this week?